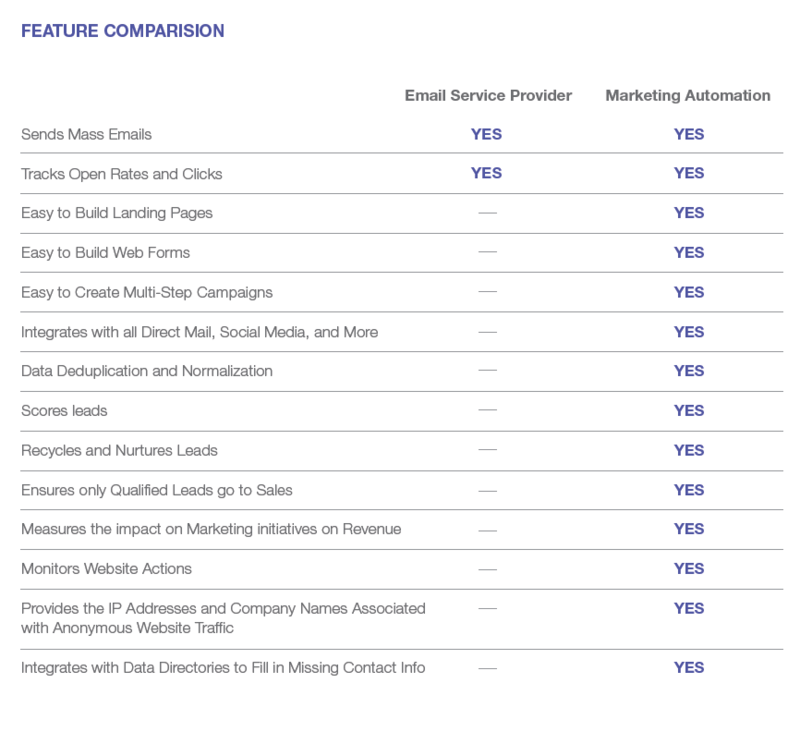 What is the difference between email marketing and marketing automation? And how do you know if your company is ready to make the switch? These are questions we get asked all of time by both small and large businesses. We all know how powerful and important email marketing is to your marketing toolbox, but implementing marketing automation can dramatically increase the effectiveness of the email marketing strategy you already have in place. Because there is no functionality within an Email Service Provider to do any automation or fine tuning of your campaigns, you have to do a lot of manual work to make sure that your email blasts are hitting the right targets at the right time. With marketing automation you can start to take out the manual work of crafting individual emails. Instead, you can focus on creating multi-stage, automated campaigns to nurture your leads while you get other work done. 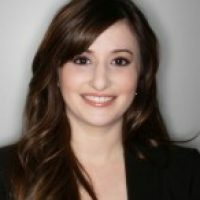 Email marketing by itself does not have the functionality to deliver win-ready leads to your sales teams.The only thing you are tracking after a blast is click through and open rate, and when your sales teams begin doing call downs after email blasts, they may not be getting good results because those leads are not yet ready to buy. And for a sales rep, there is no bigger waste of time than chasing down a lead that isn’t ready to purchase or who isn’t even qualified. With marketing automation, you can make sure that sales are only following up with leads who are ready to buy. Additionally marketing automation platforms can score your leads based on how they engage with campaigns or content. You can also score based on demographic or lead characteristics. You have this huge database of leads that you are not able to leverage and you feel like you are having trouble keeping them engaged. You send out a couple of blasts per month, but you have no idea where they are in the buying cycle or if your content is really resonating. Because it takes so much time to create an email blast, how can you be strategic about your database sends? With marketing automation you can employ lead nurturing, which allows you to segment out your database and lead them through your funnel by creating automated campaigns that will keep your leads engaged. Relying on basic email marketing is not scalable if you are a growing company. The more leads you have in your database or campaigns you want to run, the more time consuming it becomes to create mass blasts. Marketing automation is a solution that can grow as your company grows. You can run multiple campaigns, create lead nurturing programs, score your leads, and attribute revenue directly to each marketing program. You want to be able to show your executives how marketing contributes to the bottom line. You also want to know how you can improve your strategy and tactics each time you create a campaign. If you are just relying on email marketing, you are likely having a difficult time tying your programs to revenue. Marketing automation gives you functionality that tracks your efforts and provides you with in depth analytics for each campaign. You can also sync up your marketing automation system to your CRM to provide even more detailed metrics. Still not sure? Check out our new whitepaper Graduating from Email Marketing to Marketing Automation for more insight.